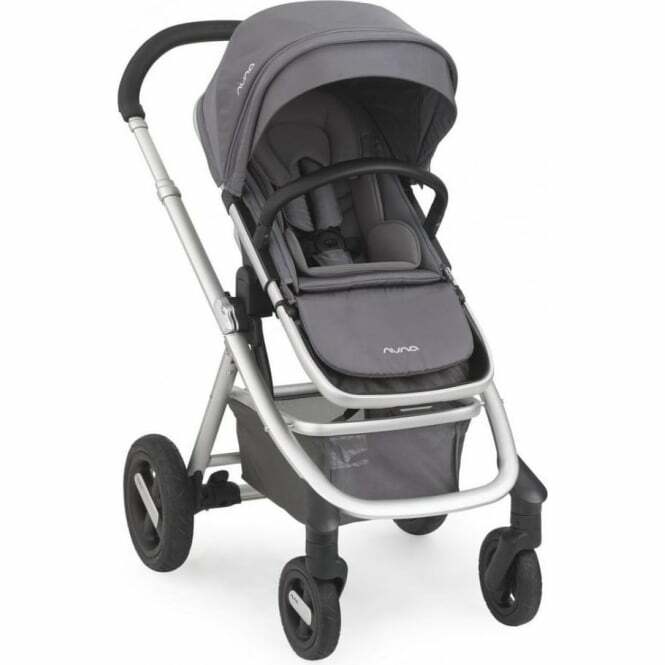 The Nuna Ivvi Savi Pushchair is as perfect for idyllic summer strolls, as it is for gruelling wintry missions, due to its seat being capable of coping with all seasons. The adult in charge of steering can enjoy the comfortable grip of a hand-sewn push bar, of luxury leatherette material and feel. Why should I choose the Nuna Ivvi Savi Pushchair? Parents who want street style will love this pushchair. If you want a pushchair that is practical, elegantly designed and aesthetic then buy this one. The seat material is breathable mesh. This means you keep your child comfortable in all the elements, all year round. You can easily remove the rotating leatherette arm bar and the canopy. The canopy is extendable to shade your little one's eyes. Every Nuna Ivvi Savi Pushchair has a three or five-point anti-loop harness with a swift click-release button. This pushchair also has a mesh peek-a-boo window so you can check on your sleeping child as you travel. Thanks to the Dream Drape, your child can sleep without too much interruption. The pushchair's large storage basket is great to put your groceries in too. The Nuna Ivvi Savi Pushchair is simple to use. There are three recline positions which you alter with just one hand. You can also alter the calf support with one hand, and that's not all: The rear wheel brakes can also be applied by one touch too. The Nuna Ivvi Savi Pushchair can be used in two ways: as a pushchair, and with a car seat. In either mode, the seat faces rearward or forward. Additionally, the Nuna Ivvi Savi Pushchair wheels are filled with foam. This is really useful for navigating uneven surfaces. Progressive suspension technology also helps give a smooth ride. It also ensures that the pushchair’s passenger enjoys every journey. The Nuna Ivvi Savi Pushchair frame stands independently when folded. It can also be used with the Nuna PIPA Icon 0+ Car Seat and/or the Nuna Ivvi Savi Carrycot. These, along with accessories such as the Nuna Ivvi Savi Footmuff and Seat Liner have to be bought separately. 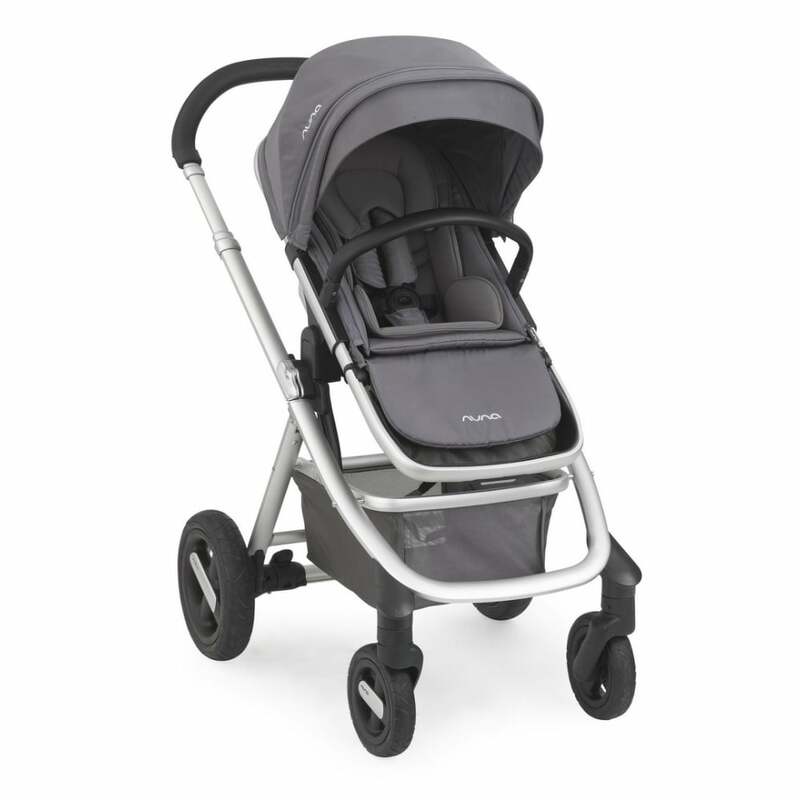 What are the specifications of the Nuna Ivvi Savi Pushchair? Where can I read a review of the Nuna Ivvi Savi Pushchair?